Morning’s are a little easier with a powerful dose of iron, and recently I’ve been experimenting with different recipes for our DASH Juicer that we got as a wedding present. It may look like snot, but my favorite way to fight off the mean blues is with a big ole cup of homemade green juice. Num! 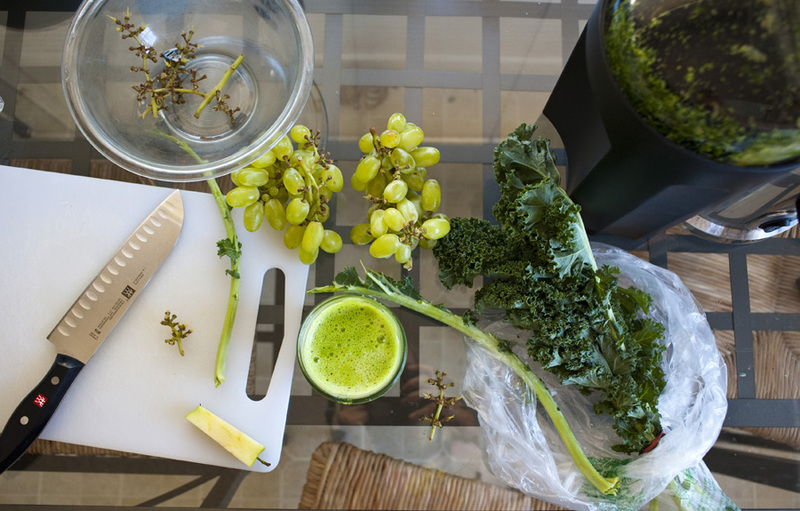 This delicious juice packs an extra gigantic dose of Vitamin K and helps with healthy blood cell and muscle function. The extra iron also helps women load back up on the mineral when Aunt Flow comes to town, or during pregnancy.